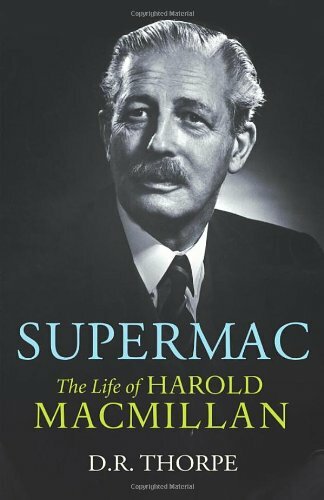 Yesterday evening I had supper with a friend and whilst at his house I was skim reading parts of the book he is currently reading, D.R.Thorpe's Supermac: The Life of Harold Macmillan published by Chatto and Windus in 2010. Macmillan is the first Prime Minister I remember and I think he is in many ways under-rated these days. As a student at Balliol on the eve of the Great War he used to serve then Anglican Ronald Knox's celebration of the Roman Rite in a chapel at the convent of the St Thomas Sisterhood which was just in front of my kitchen window. This is a book I really must try to read fully, and one I would heartily recommend to anyone interested in the man or his era.